Are you ready to upload your family tree GEDCOM file to WikiTree? I’ve done several uploads and learned a few things along the way. These ten tips will help you successfully upload your file without some of the hassles I experienced. 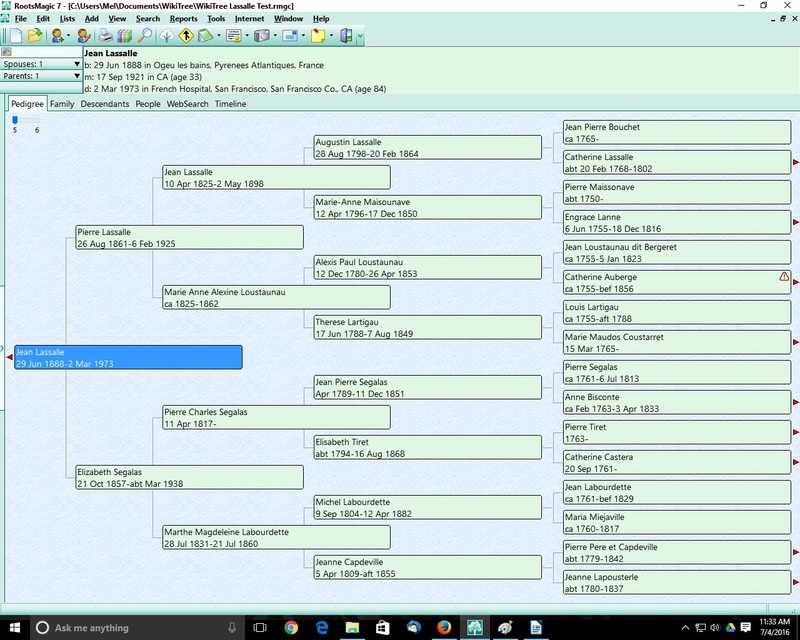 Create a GEDCOM file and upload it to a new database in your genealogy software. Use this as a test tree to see what problems or discrepancies need to be fixed before you upload your GEDCOM to WikiTree. 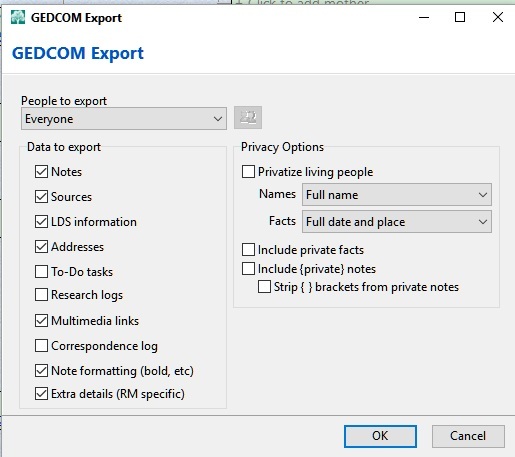 Go through that GEDCOM and remove any person whose name is unknown. WikiTree will flag these and make you skip them, so you are better off getting rid of them to begin with. Check for any individuals who do not have a birth or death date. WikiTree does not allow the inclusion of individuals without dates. Add birth dates where needed. If you are unsure use and estimated year (i.e. ca 1830). Standardize your place names. Look through your place list to find any cities without countries, any duplicates, or misspellings. Fix the discrepancies. Make sure all your people are connected. You don’t want to upload any individuals or families that aren’t connected to your main tree. WikiTree will not let you delete a profile once it is created except under very limited circumstances. Check your surnames. Make sure you don’t have any misspellings or typos floating around. Remove any information including custom created fact fields you don’t want the whole world to see. I create a lot of custom fields. A couple of them are only important to me such as the one that tells me the name of cousins and the ancestors in my family tree that they connect to. The whole world probably doesn’t need that information. Remove any individuals born before 1700 unless you have already requested to be a part of that WikiTree group. Once you are done cleaning up your GEDCOM, decide what you want to upload. For instance, in RootsMagic 7, I can tell it what types of things I want included. I mainly look at notes and sources. I always upload sources but I don’t upload my notes as there could be things in my notes only meant for me. Submit small portions of your family tree at a time. It is tempting to upload all 500 people at once. What a magnificent tree for all to see! But, beware, you will have to verify each person to a special list that WikiTree provides. You will then have to check privacy settings for each person. It is better to upload smaller portions at a time This will make the pre-acceptance verification process easier. It is helpful to look at the way WikiTree profiles are organized before uploading your GEDCOM. Also, remember that you are expected to maintain the profiles you upload. You can give permission to others to manage profiles, but your people are your responsibility. Don’t include people without names. Don’t include people born before 1700 without requesting to become a member of that group. Don’t upload anyone you don’t want to such as children no one but you knows about or spouses that have been unconfirmed. Once a profile is accepted it cannot be removed. It can be merged with another profiled, but not deleted.